Want the EASY way to learn & read Tarot cards accurately and intuitively? 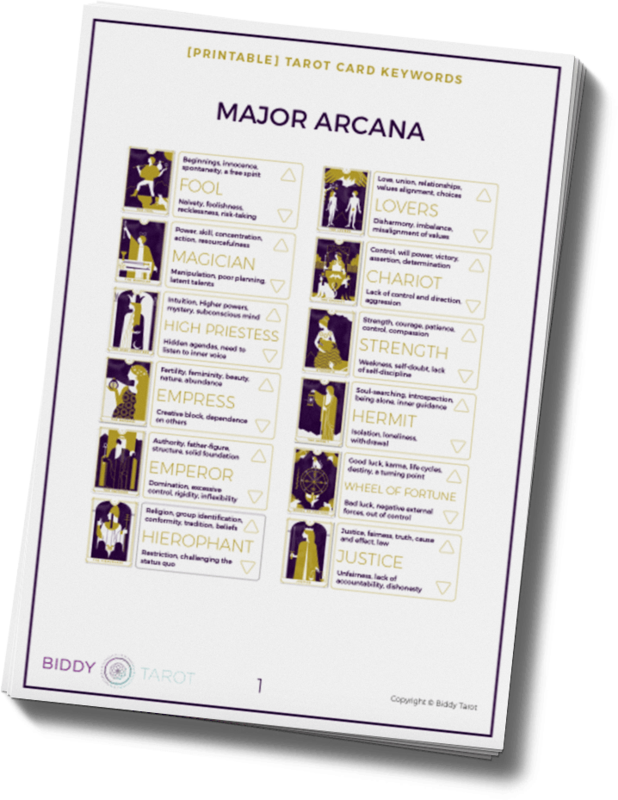 You’re invited to download my free Tarot card keywords printable. Learn to read the Tarot cards easily and effortlessly! Add your name & email below to download the Printable PDF. You’ll also receive our weekly newsletter and information about our Tarot courses and products to help you become a better Tarot reader.